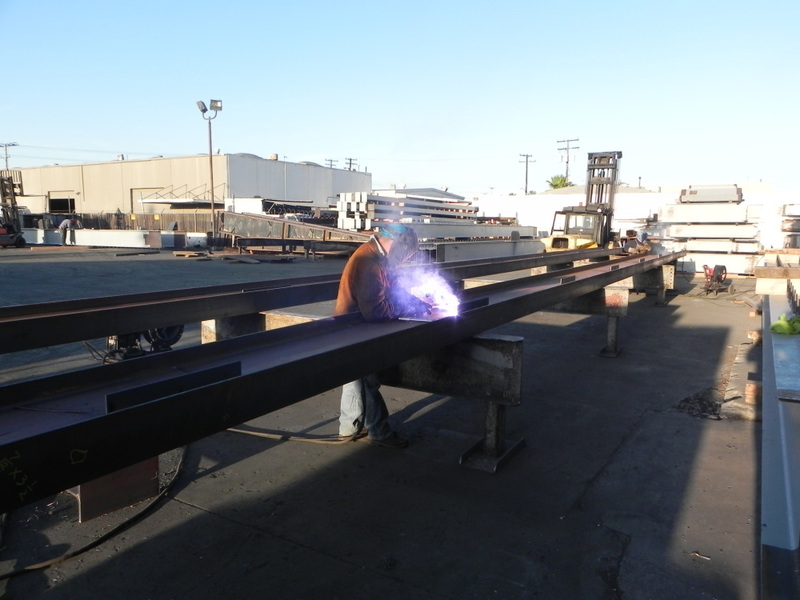 Orange County Erectors, Inc. is a Structural and Miscellaneous Steel Fabricator and Erector. We are based in Southern California, in the city of Anaheim. We have over 40 years in the steel fabrication and erection industry. Founded in 1975 by Richard Lewis, the company began with a small office in Los Alamitos, CA. and just one work truck, and specialized in metal building erection. In 1980 the company moved just down the road, into a larger facility and began to fabricate and erect steel jobs. In 1992 the company relocated to the city of Anaheim, CA. and worked hard to build up the customer base and repore with several General Contractors. Today the facilities have now been expanded to over 55,000 square feet of fabrication space and employ up to 85 full-time employees. The company has also diversified into providing miscellaneous and structural steel fabrication and erection as well as aquiring waterjet capabilities for specialized projects.